Light tandem vibratory rollers can be used to mend and maintain various roads, expressway shoulder, side walk, parking area, sports ground and garden lawn, etc. HDD630B light tandem vibratory rollers is a kind of fully hydraulic tandem vibratory roller that can carry out dual steel drum vibration and single drum vibration. 1.2. The hydraulic tandem vibratory roller uses KUBOTA engine. The engine is characterized by large power reserve, reliable performance, low fuel consumption, low running noise, and conforms to European Ⅱ emission standard. 1.3. It has strong gradeability and high working efficiency. 1.4. Its compact structure and small size enables the road roller to work in narrow areas. 1.5. The fully open engine cover makes it convenient to repair or maintain the vibratory roller. 1.6. Hydrostatic center articulated steering and infinitely variable speed devices make the operation more convenient. 1.7. High vibration frequency and great vibration force ensure the good road surface compaction quality. 1.8. Our light tandem vibratory rollers is equipped with emergency stop push button, which guarantees the safety and reliability of the machine. 1.9. The roller compactor uses SAUER-SUNDSTRAND travel pump, POCLAIN travel motor and CENTA shaft coupler, thus ensuring the reliable performance of the whole machine. These light tandem vibratory rollers are small in size, so they can carry out the compacting operation in pipeline channel, drainage trench and other narrow areas. 2.1.1 Our JCC series light tandem vibratory rollers uses Changchai ZN385Q/ZN390Q engine. The engine enjoys good starting performance. 2.1.4 The small-size tandem vibratory roller is designed with fork-type drum bracket. The drum-side clearance is more than 600mm. 2.1.5 Its gearbox is manufactured by use of Japanese technology and the gear shift is quite easy. 2.1.6 Three travel speeds are available. The double drum vibratory roller can offer a good compaction effect. 2.1.7 Platform trailer is optional. 2.2.2 YZC series double drum tandem vibratory roller is characterized by reliable performance, easy operation, good cost performance ratio, compact structure, and attractive appearance, etc. 2.2.3 It uses highly efficient Changchai engine. The engine features large power reserve, reliable performance, stable quality, low fuel consumption, easy operation and maintenance. 2.2.4 The small size and compact structure enables the light tandem vibratory rollers to do the compaction work in limited space. 2.2.5 Scrapers and sprinkling devices on all drums will contribute to the improvement of construction quality. 2.2.6 Driver's canopy is the pergola made from umbrella clothes or fiber reinforced plastics. 2.2.7 Platform trailer is optional. These light tandem vibratory rollers are quite suitable for the compacting work in narrow areas, such as pipeline channel, drainage trench, etc. YSZ07B double drum light tandem vibratory rollers uses HONDA GX270 gasoline engine. The road roller is started by hand and driven by double drum vibration. There are two mud scraping boards besides the steel wheel. The direction is changed by guide pulley with rubber tires. 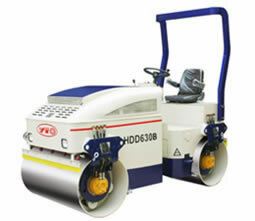 YSZ08DB small sized vibratory roller adopts Changchai R180 water-cooled diesel engine. It is equipped with both electrical and manual startup devices and it is driven by double drum vibration. There are two mud scraping boards besides the steel wheel. The direction is changed by guide pulley with rubber tires. These light tandem vibratory rollers uses ChangFa CFI86F inline direct-inject air-cooled engine. They are driven by double drum vibration. Both electrical and manual startup devices are available. There are two mud scraping boards besides the steel wheel. The direction is changed by guide pulley with rubber tires. We are an ISO9001:2008 certified light tandem vibratory rollers manufacturer in China. In addition to road roller, we also offer wheel loader, crawler tractor, concrete mixing plant, and so on. Our products have passed CE, E-mark and OECD tests, so you can rest on their high quality. If you are interested in our construction machinery or agricultural machinery, please feel free to contact us. The hydraulic double drum vibratory roller is manufactured based on advanced international technology and features imported main components. It is a kind of commonly used construction machinery for compaction of stabilized soils, bituminous concrete and rolling cement concrete (RCC) during road surface construction. It is also suitable for compaction of road base course. The light tandem vibratory roller is a popular selection of compaction equipment for construction of high-class highways, airports, harbors, dams, municipal roads and industrial ground floors. The double drum vibratory roller is equipped with the KUBOTA engine imported from Japan. Thus, it meets Euro II / Tier II emission standard, and has got the certificate issued by authority. 1. The powerful KUBOTA engine comes with large power storage capacity and reliable performance. It meets EuroⅡ emission standard. 2. Hydrostatic drives for travel and vibration systems are installed in both drums, which ensure greater gradeability. 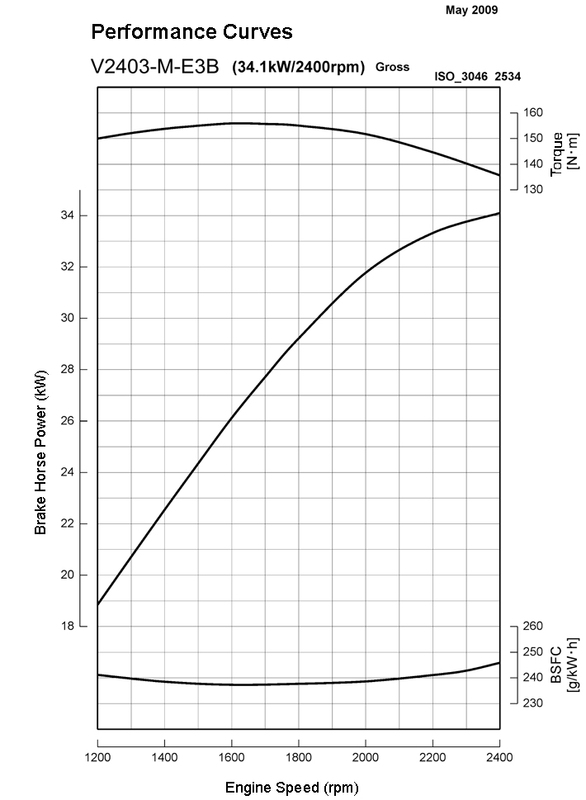 The high vibration frequency and greater amplitude creates better road surface quality. 3. The vibratory roller features hydrostatic center articulated steering and infinitely variable speeds for convenient operation. The emergency stop push button assures safety and dependability of the road construction equipment. 4. Imported hydraulic components such as SAUER-SUNDSTRAND travel pump, POCLAIN travel motor, CENTA shaft coupler provide the road roller with enhanced performance. 5. With compact size and beautiful appearance, the tandem vibratory roller is able to work in narrow spaces. Completely open engine cover makes engine maintenance convenient. Transmission Hydrostatic drive with individual drum vibration control.